Valentine's Day is a spendy holiday. People buy indulgences and gifts like jewelry and flowers, and candy is one of the top ones. Candy sales are expected to exceed $1.8 Billion this year. Here's a map of the favorite Valentine's Day candy in every state. Valentine’s Day is about love and romance and spending money to demonstrate them. 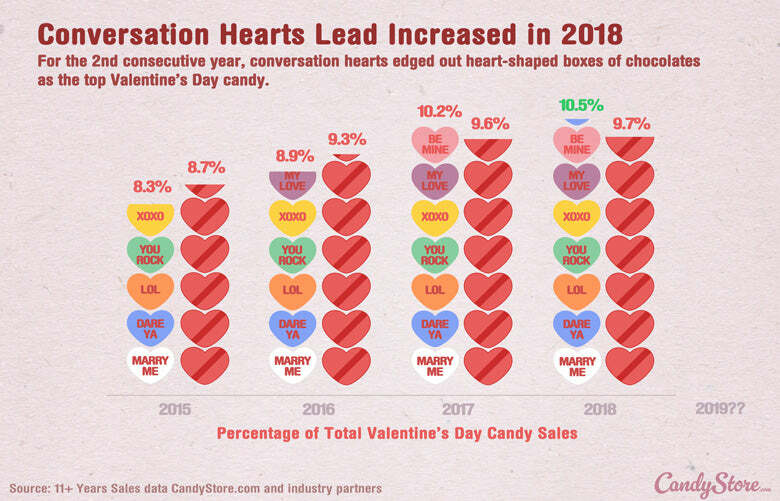 Last year, the National Retail Federation predicted a slight drop off in in Valentine’s Day spending in all but one category. You guessed it: candy. As Valentine’s indulgences go, candy is a relatively inexpensive one. It’s also become a tradition to give, share and eat candy on Valentine’s Day. That could be why people are expected to spend over $1.8 Billion this year. Using sales data from the past 11 years from our online bulk candy store and industry partners, CandyStore.com has compiled sales data to determine the most popular Valentine’s Day candy. The map above illustrates the favorite Valentine’s Day candy in each state. The results are pretty interesting. Conversation hearts have been rising in popularity for years, but they were always stuck behind those heart-shaped boxes of chocolates. That all changed last year when conversation hearts rose above the heart boxes to claim the top spot. Conversation hearts will drop by over 80%. (!) More on that here. M&M’s cracked more top 3 spots in 2018 than the previous year. Since introducing the Cupid’s Message M&M’s in 2017, we’ve seen a rise in M&M’s sales for Valentine’s Day. 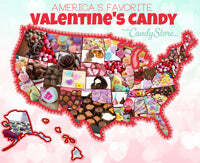 Though M&M’s did not claim any new #1 spots for any states, it did claim 3 more #2 spots and 5 more #3 spots. It’s not easy to crack the top three with conversation hearts and heart-shaped boxes taking up so many spots. Nice work M&M’s. Perhaps the limited re-introduction of White Cheesecake M&M’s will help boost them even more for the 2019 season. Candy corn didn’t do as well. It finished in the #3 spot three fewer times and in the #2 one fewer. Still hanging on in North Carolina, West Virginia and Michigan, among a few other. This bucks a trend we saw for the Christmas season where candy corn and its seasonal variants saw increased sales. 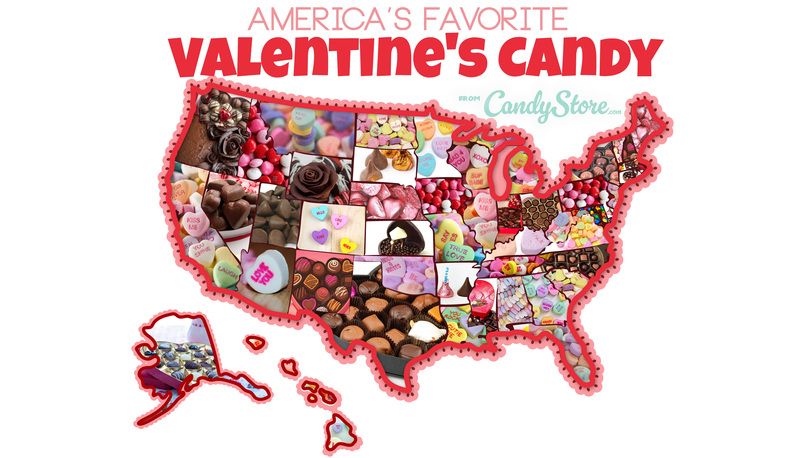 So, which Valentine’s Day candy does your state love the most? Let us know what you think in the comments below.